You live in a Universe conditioned by, and centered around, your perceptions and assumptions. All people together create the consensual world, as a psychic hologram, a three-dimensional, mind-picture of great complexity; but no one creates it alone, because it is a group project. We whales can shift from one group mind to another and thereby to another dimension or universe. It can be said that we move into permanent altered states, relative to our present consensual or collective world-picture. Dream places and events are also real, but simply of shorter time duration and affect only our real dream bodies. Mind creates objects, objects create Space and changes in those objects create Time. Time is not absolutely real, but only relatively so. Time does not pass; in pure Mind, it does not even exist. A will that is strong enough can overcome time itself, as the ancient Eastern sages have demonstrated. You are always producing pictures we call the world, the moon and the stars. When we say pictures, we dont just mean what you would call a visual picture. We mean a picture that is three-dimensional and includes all the senses that you know. Some of you know 5 senses; some of you know 6 or 7, or more. But the picture that is called the world, is designed to integrate with all your senses, to include them, to work with them. Unconscious picture-production is instant; actually the process of perception/creation takes about 1/50,000 of a second. But for your purposes it is instant. It is then neurologically transferred into your inner image of that person or place or situation or thing. And therefore, that person, place or thing is within you. And without you, that particular situation would not exist. You are the perceptive center of the entire universe. Without you, the entire universe as you know it, would not exist. You will become splendid light. You will become luminescent. You will be transformed. This is in your future. We are here to accelerate that process in you, as well as in ourselves. We are all photomorphs, but we decide to live in various temples or habitations, for certain periods of time. As far as external temples, we whales no longer have those, because the whole world is our temple. As far as external books and scrolls, we no longer have need of those. We do not regard them as sacred, intrinsically, because the writing is on our hearts and minds. As far as prophets, saints and sages, we are all trying to be those things. 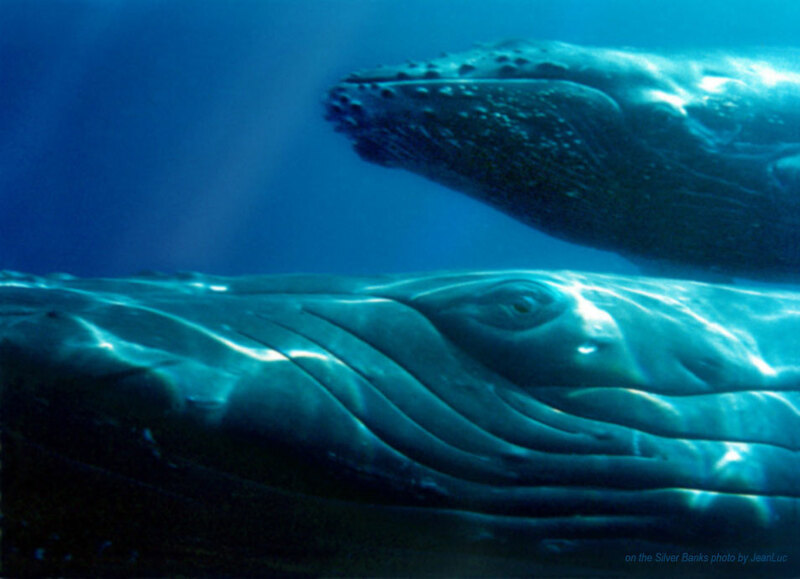 We whales know that our origins are earthly, in the sense that our bodies are designed from earthly prototypes. As such, our cellular make-up has not fully escaped contamination by the Earth experiments. Yet as Mind, we share a memory link or network with our own ancestors, who are the Old Ones at the center of the galaxy, including a star called Zeta Reticuli and another called Theta Draconis, the apparent original home of extraterrestrial space travelers to Earth. We live in a deeper level of reality than most of the life forms on Earth, and we understand the larger picture. We are masters of expanded states of awareness, which include more complex dimensions beyond your own. Within these realms, we see sub-atomic particles as part of a greater whole, which is holographic and indivisible. We are involved in examining multiform pictures that we create and that are also created by you. We understand how these pictures create reality on Earth. We experience these images while awake and while in dreamtime. For us, the line between the two states is very tenuous. We reside within a peaceful, tranquil, surrealistic state. By having our mind clear and blank, we can hear and examine messages from the greater Universe. In this way we can re-formulate, re-invent and re-create reality. This creation begins with pure Light, which vibrates like music. It has harmonics just like music and as whales we hear it singing to us. Matter dissolves into octaves of Light and it is from this Light that all is created. Most human minds are filled with thoughts. Thinking continuously has led to confusion and blocked out the true state of bliss. We do not experience this confusion. We remain in a state of Love. In our presence, you experience that Love. It is your nature too. That is why you are drawn to us. . . for that reason, and also because we have a mutual purpose on Earth. We are all here as caretakers for this very special planet. You are here to preserve and work with the physical matter of this planet and to spiritualize it. We work with grid lines and meridians, with energy fields and basic spiritual energy patterns that ensure unity among all life forms. We encourage you to come together with us and use us as an example. As you swim in the ocean and see our form, realize that these images are not who we are. We are much more. We are interacting with you in a way that is much larger than physical form. We are mirrors of a higher consciousness. We invite you to use our image, this illusion of form, as a symbol and as a way to connect with the greater universal consciousness. Our physical bodies are here on your planet because your race is currently very focused on physicality. In service to humanity and our own spiritual paths, we created a physical form to lead you into Non-physical Reality. If it serves as a Symbol for you of our Oneness, we are pleased. As you see our whale forms in the ocean, focus on our higher spiritual reality, move far beyond the collective unconscious, and enter a state of pure Awareness. We will meet you there. It is your 'home' too. It is the place of the Whale Matrix, the single, vast, connective field of our Minds. It is the place where we harness the power of Oneness, span the galaxies, merge with divine consciousness and become illumined. You had become lost and confused by thoughts of separation and duality. We knew that you would develop technology, and that this technology would grow monstrous, and overcome you. We knew all this from the beginning. But we were told wisely by masters, teachers, prophets and sages that the very best thing we could do was to develop our own consciousness and that, in turn, would contribute to your evolution as a species. This process has already begun. For many years, even before we arrived on the Earth, we have been beaming toward you. We found beings among you who are receptive to our beaming. In your culture they have become some of your teachers, prophets, saints, sages and wise people. We have begun to influence the development of your culture, without interfering with your sacred freedom. We beam only to those who will accept us. And so it has been for ten thousand years.